I am very new to qPCR. The problem I face is regarding the melt curve of 1 set of primers. I performed a trial run and the melt curve gave only 1 peak. 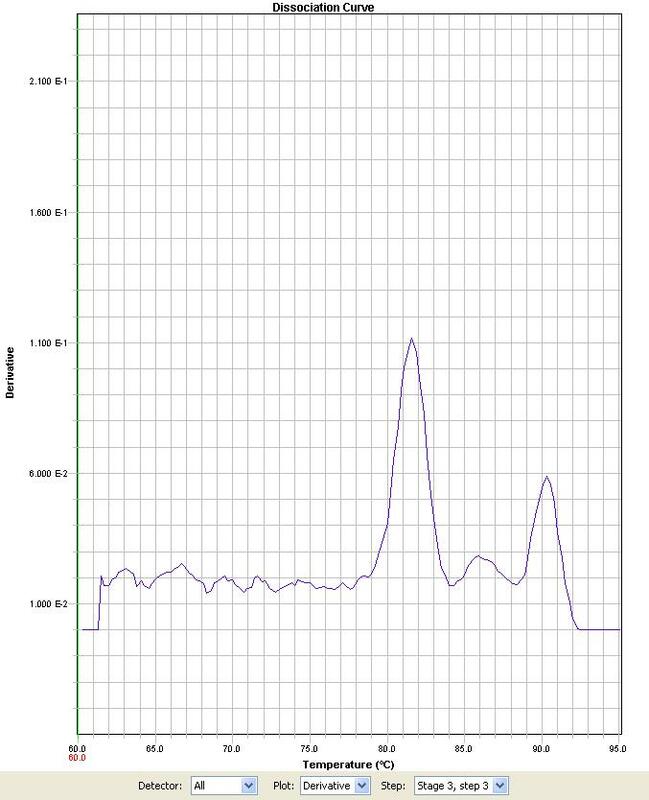 However, the next day I ran the real analysis using the same samples, and the melt curve gave multiple peaks. This is observed in all replicates from 3 samples. All the other primers are good, even the NTC for this primer is good (no peak at all). I have ruled out contamination from the reagents as well as the template. I also took cautionary steps to reduce pipetting errors; I had some problems regarding pipetting errors in previous runs. I'm really lost as to what is the cause of this observation. It would be nice if you could suggest some reasons and how could I prevent this from happening again. When looking at your second melt curve peaks, you have two products. As you say, your primers seem to be OK as there is not much evidence of primer-dimer formation (would <75 degrees). Are you going from RNA-cDNA prior to doing the melt analysis, ensure you use DNASE enzyme treatment to get rid of genomic dna if this is the case. 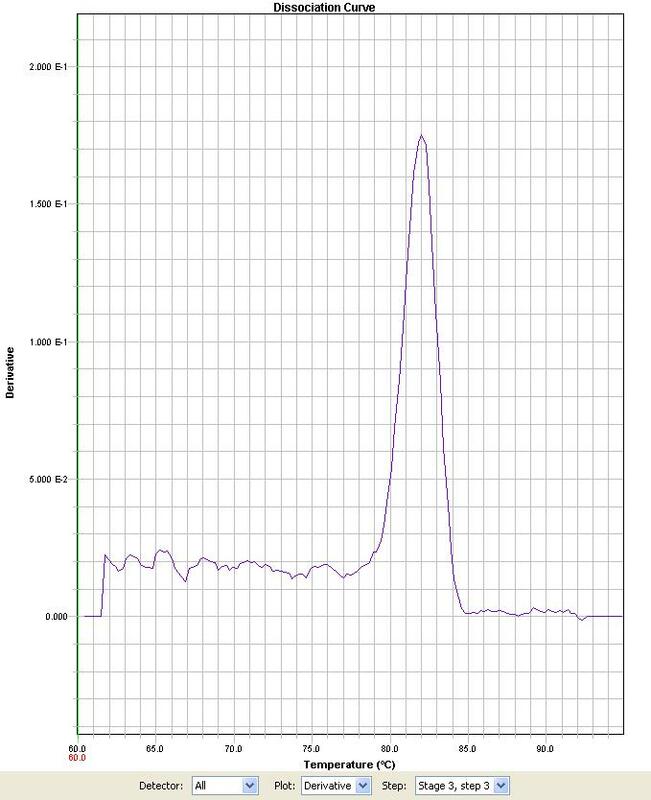 To me the second melt peak at 90degrees ish looks like gDNA contamination (as it is close to the denaturation temp of DNA). You could confirm this by running the end sample on a gel.